I am from Bolivia and I’m 24 years old. 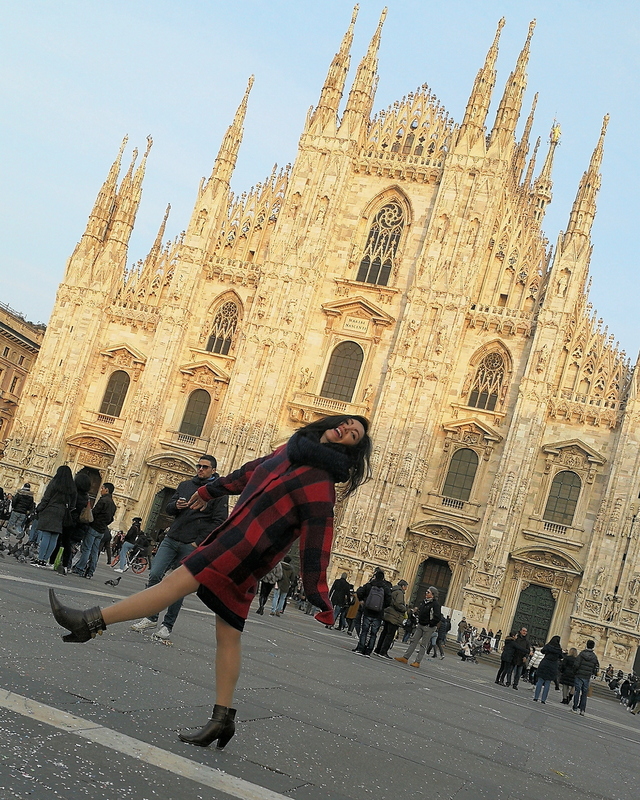 I am currently living in Milan because I’m doing my masters in Management and specializing in fashion. I have a blog that I started this year called “LA BOLIVIANA” where I write every week and give my insight into the fashion industry. Living in one of the fashion capitals of the world is a very exciting experience for me, and so I’m constantly curious about learning more about the fashion industry and willing to spread my ideas to inspire other people. 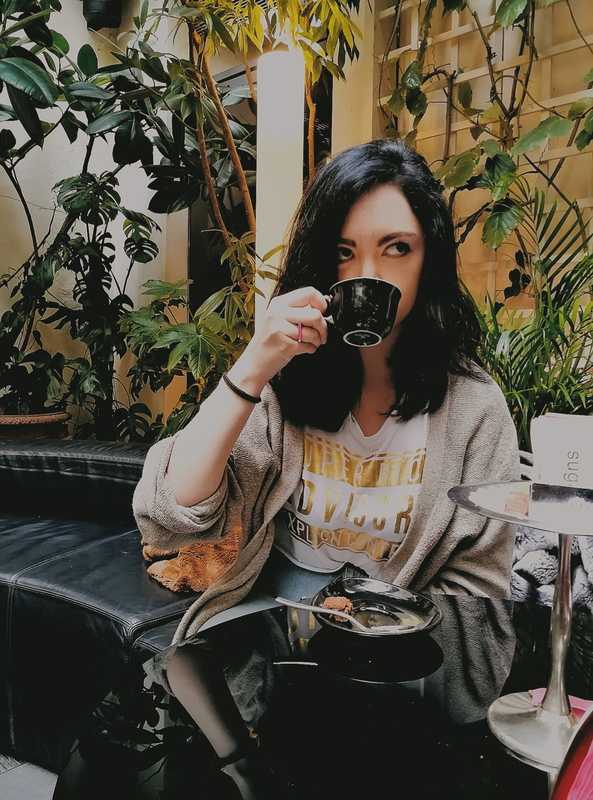 I made the decision to start blogging when I moved to Milan. It was a huge change for me because everybody expected me to keep pursuing a career in finance (I have a bachelor and experience in that industry) but I figured that if I really wanted to start making my way into the fashion industry, I had to start somewhere, and for me blogging was the way to go; apart from the fact that I love writing.When it comes to content and what inspired me, I saw that there’s this ongoing stereotype about fashion being the most superficial and frivolous industry in the world. And so, when I started my blog my mission became to get people informed for them to realize that it’s not just an industry about dressing people up, but that there’s a whole business strategy behind every brand and moreover a huge world of unique processes where people combine their business knowledge with creative mindsets. Believe it or not, fashion is something very complex that can represent anything you want, be able to move the crowds and ultimately fuel an economy. I don’t blog full-time because I only post once a week, but I don’t like how the word hobby sounds either! Since I’m doing a masters in Milan, being able to blog all the time is almost impossible for now, but I am constantly looking for new ideas for my next blog every day. I try to get people’s input all the time, and strangely my best ideas have been inspired by people who have no idea about the industry, so blogging has become quite entertaining. For me, being in fashion is a 24/7 job so I am always with my eyes wide open looking for new inspiring ideas. Describe a typical day as a fashion blogger. Like any person that loves fashion, I wake up and the first thing I always do is to check fashion news on my phone while having breakfast. After that, I usually get ready for my classes and spend half of my day at university, but I always have my phone and a notebook with me, in case something interesting happens. Through the day I also take time to get in touch with other bloggers, stay active on Instagram because of how important that platform has become, I go and read some other bloggers’posts usually from the ones posted on Facebook groups and try to brainstorm all day. Also, part of being a fashion blogger is to always have a good outfit put together when you’re out, and so if I get the chance, I take some pictures. My favorite thing about blogging is definitely the freedom to have a voice in the industry I love. Although being a blogger is so hard these days because there are thousands out there, what satisfies me the most is that my content is finally out there for some people to read it. Also, I like how much my mindset has changed ever since I’ve started blogging, because I’m constantly curious and on an“analysis mode” on a daily basis. Like any blogger out there, I think my main goal would be to increase my audience, of course. But I’d have to say that by the end of the year I would like to have better knowledge about blogging and also to have a bigger blogger network that I can reach out to. Someone once told me that my style is very “contemporary”, and I never knew what that meant because there are so many ways of dressing in a “contemporary” way these days! But when it comes to styling, I look for outfits that make me feel comfortable in my own skin and so I like to play with layers, always have a little bit of movement with the fabrics I choose and usually I try to wear something interesting that pops out in my outfit, like a cool accessory, a statement shirt or blouse, or anything that truly reflects my mood on that day. My top one has definitely become Alessandro Michele, and I like him as a designer because he’s always playing it hard and risky. He’s taken Gucci into this imaginative and transformative phase that everyone seems to be buying into, and also he is not afraid of going without filter on his collections. My second is Olivier Rousteing because I love how he changed Balmain and by being so young and a black French designer, I really enjoy seeing him break the rules and taking his inspiration a step forward, always bringing new diversity into the fashion world. My third is Riccardo Tisci, because he has a contemporary street-style way of designing that in my opinion is very unique. He combines street wear with high-end fashion and he’s one of the designers that actually pays attention to the consumer. I’m beyond excited for his debut collection for Burberry on September. I’ve been advised to not be afraid to stand out, speak up and be risky, and that goes not only with clothing choices but also when it comes to spreading ideas. I’m always worried that because I have studied finance, I don’t know enough about fashion like the ones that dedicated their lives to it from the beginning. But I realized that not even the people who are deep inside the industry know everything because there’s always space to keep learning, so I’m learning each day to put my opinion out there, even if it gets criticized. It is all a learning process. Always be informed about the industry. I think I’ve gotten the habit of getting informed all the time because in some way I like to compare fashion with finance (more specifically, the stock market). If you don’t know what is currently happening in the industry you love, you’re not going to be updated and be able to come up with ideas of your own. Being informed about fashion is key, because just like the stock market, it is an industry that changes constantly and it’s very volatile. Alexander Wang, because I’ve been following him ever since he got started and it’s amazing how much he has evolved as a designer. Also, to me all of his collections are perfection and I would wear everything that he designs because of how edgy he is. Want to know more about Maite? What a good read, dying to go back to Milan! hopefully to get my masters as well! How cool! I’ve always wanted to visit Milan! It must be incredible living in Milan and studying fashion! What an interesting interview – I can see how blogging would be a great creative outlet for anyone into fashion. How cool to be living in Milan, what an amazing experience!